Created 30 years ago, CARTES SECURE CONNEXIONS is recognized as the global event secure solutions industry leader for payment, identification and mobility. The 2015 edition is on the theme of “Unlimited Innovation”. It illustrates perfectly the constant innovation of this industry. The event welcomes 400+ exhibitors and 20,000 visitors. It will be, once again, the unmissable meeting place for the whole Digital Security industry. The Opening Summit, the opening conference (free access), where you will attend keynotes from industry leaders, prestigious guests for a global renowned event. The SESAMES Awards will reward the industry’s best innovations as every year. The Innovation TV will gather all the event news. The Innovation Playground will allow you to test innovative contactless technologies thanks to a dozen devices on tablets. The STARTUP CHALLENGE will give you the opportunity to discover the 5 most innovative startups of the year 2015. Conferences, Keynotes and Panel Debates will address cutting edge topics, such as new means of payment and identification in a world even more digital and hyper connected. Payment is a complex and rapidly evolving space. The ever-growing mobile ecosystem is crossing and integrating into more industry segments than ever before. The mobile technology is at the heart of worldwide innovation. Across 3 day-long sessions, we’ll look into the latest technologies that are determining the current payments market (NFC, HCE, SE, tokenization etc. ), and we’ll discuss how mobile is creating new ways to pay and we’ll examine the new players and trends that are reshaping the industry. HCE & Tokenization: What Role for the Secure Element? New Business Models: What Impact on Banking, Telco & Retail Industry? The most recent developments in payment have been extremely swift. The number of payments made via mobile terminals has been unremittingly on the rise. Over the first part of Year 2015, dematerialized payment volumes (including Cards, which posted a total volume of $47 trillion in 2014[i] – and electronic payment) overtook paper payments (“cash” and checks). In 2016[ii], card payments, fuelled by the same trend, are expected to overtake cash payments and become the preferred method of payment across the world, and most significantly, in China. What’s more, the shift to electronic commerce has caused currency itself to become dematerialized, in a trend that will inexorably spread in the years to come. Electronic wallets will form the sole tie between sellers and buyers. From January 2014 to July 2015, more than 1 billion contact-free transactions were completed[iii]; by way of illustration, in March 2015[iv], VISA cardholders alone spent €1.6 billion. As Jean-Noël Georges, Global Program Director, and Research Manager at Frost & Sullivan put it: “The interoperability of Smartphones or notebooks – there will be 19 billion of them in use across the world by 2019 – is now part of our everyday reality. 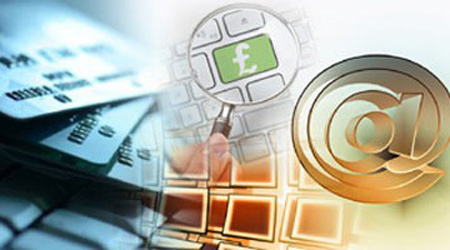 Such connected tools have given rise to new uses and new ways of sharing information using technologies such as NFC (Near Field Communication), QR codes (two-dimensional bar codes), Bluetooth Low Energy (BLE), and Host Card Emulation (HCE).As each of these technologies make headway on the market, they will reshape the payment industry over the years to come. In 2014, NFC and LTE (Long-Term Evolution) cards posted over 100% growth”. On the mobile payment market, Apple was successful in taking position and establishing itself very quickly with Apple Pay, launched in late 2014. John Devlin, Principal Analyst and Creator of P.A.ID Strategies, noted that over the course of Year 2015, Android Pay and Samsung Pay, just like Apple, were able to catch that wave, positioning themselves as manufacturers, in the hopes of hitting upon new sources of income and breathing new life into their businesses. The Payment Industry’s New Players: Friends or Foe to Banks? With non-banking organisations now capable of offering digital transactions or payments, banks have no choice but to reinvent themselves if they want to remain competitive. In 2014, the World Bank estimated that half the adult population – over 2.5 billion people – did not have a “physical” bank account. Those newcomers to the payment industry who are capable of capitalising on this, in particular by appealing to their younger customer base, will play an instrumental part in this shift. Hyper-connectivity brings about new behaviours and a heightened need for security and trust. Users now demand more protection in terms of confidentiality and security for their personal data. Fraud attempts nonetheless appear a major stumbling block in the system. It is for this reason that strong authentication, in particular for mobile payment, is vital. As Liisa Kanniainen from Nordea Bank points out that, “the trust and security challenge in payments is only becoming greater in this new ecosystem”. Biometrics is emerging as one of the best-suited solutions for offering fully-reliable identification. “In our digital and connected world, humans appear to be kept out of technological developments — new devices, however, will put the main emphasis on people rather than on the mobile. Seen in this light, biometrics appear an appropriate response to authentication and identification needs”, states Jean-Noël Georges.